This project is a win-win-win. It looks really nice when finished, it is super practical and the pattern could not be easier to complete. Knit every row, otherwise known as garter stitch. Gives the nice bulky ridges, perfect for the task of washing and wiping up. I like to have a reason to look forward to doing dishes. 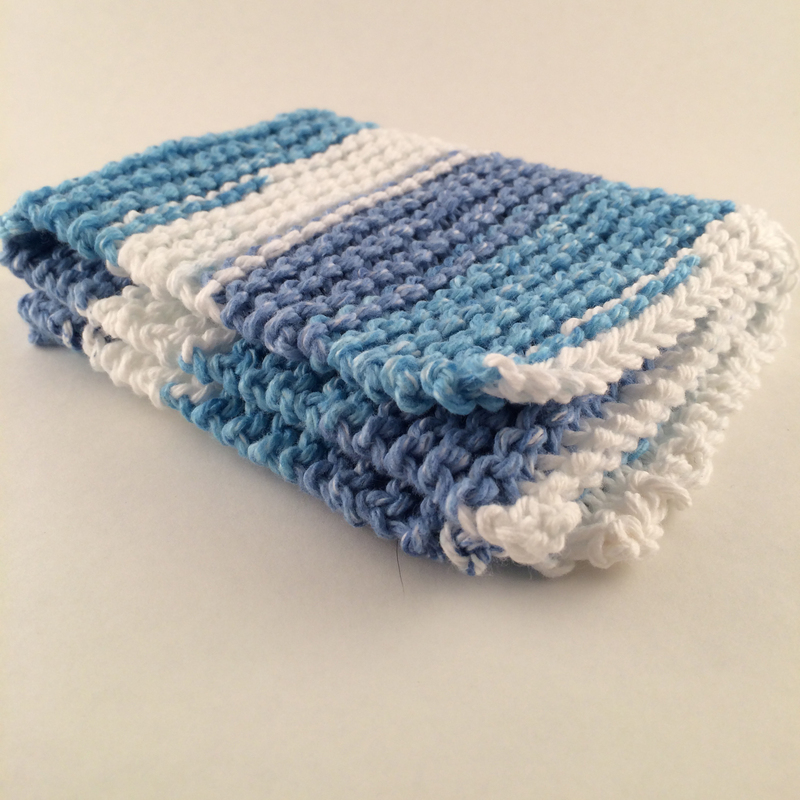 A nice thick dishcloth will be a small benefit to the task of washing dishes. I also like to have a clean, fresh one almost everyday. Since my cloths are being washed frequently, they get pretty ratty looking over time. I know, “they are just rags”. But I take pride in my kitchen and the dishcloth is a tool in that effort, just the same as any other. Granted, a sharp knife carries a much higher value, but the enterprise of any kitchen comes to a halt if there is no way to wash up. Years ago, I learned to knit with a dishcloth as my first project. Over the years, I’ve sampled all kinds of different patterns in a square format, which are now dishcloths. But my favourite is the simplest to make. 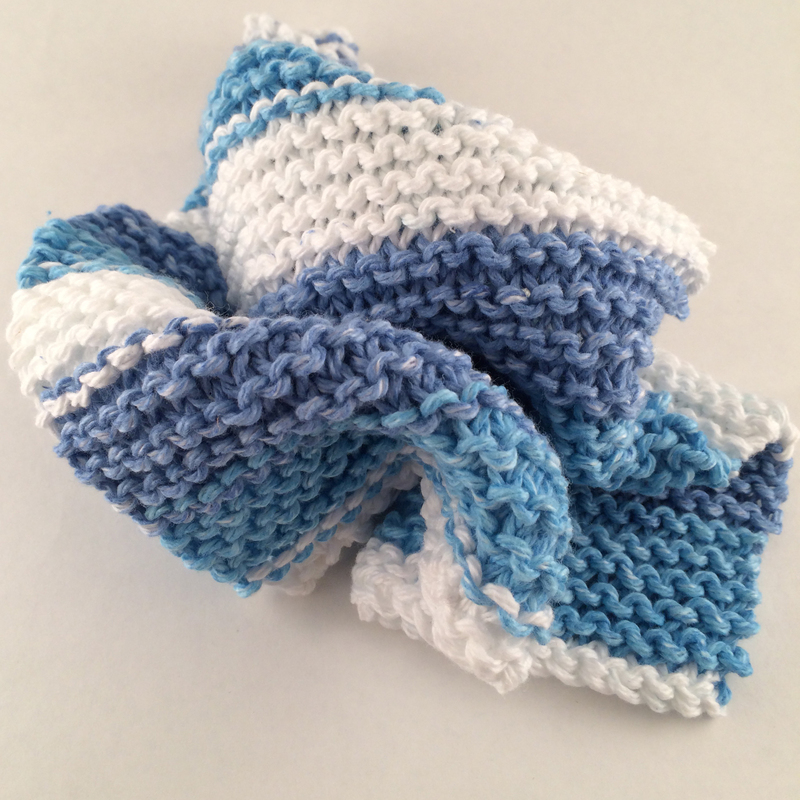 Grab a 1 1/2 ounce ball of 100% cotton yarn, (#4 medium gauge) a pair of US 9 or 5.5 mm needles and relax into this project. Pay attention to when it is time to stop. You need to save enough yarn to cast off. That takes a surprising amount!